Join us for one or both of these events to showcase and celebrate leading-edge thinking and achievements in landscape architecture and sustainability. Photo: LAF Fellow Alpa Nawre presents at the 2018 symposium. This powerful event showcases leading-edge thinking in landscape architecture to address a breadth of pressing issues. This symposium is approved for 2.0 Professional Development Hours (PDH) through the Landscape Architecture Continuing Education System (LA CES). Presentations will be followed by a cocktail reception where guests can mingle and meet the Fellows. Immediately following the symposium, LAF will host an awards dinner to recognize the 2019 recipients of the LAF Medal and Founders’ Award, our highest honors for individuals and organizations that have made a significant and sustained contribution to the LAF mission of supporting the preservation, improvement and enhancement of the environment. 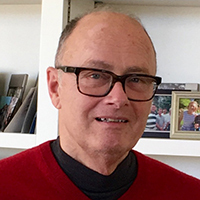 Joseph E. Brown, FASLA, former CEO of EDAW, will be presented with the 2019 LAF Medal. The Lady Bird Johnson Wildflower Center will receive the 2019 Founders’ Award. Photo: Diane Regas accepts the 2018 LAF Founders' Award on behalf of the Trust for Public Land. The LAF Awards Dinner will recognize the 2019 recipients of the LAF Medal and Founders’ Award. These awards are LAF's highest honors for individuals and organizations that have made a significant and sustained contribution to the LAF mission of supporting the preservation, improvement and enhancement of the environment. In addition to hearing from the awardees, the dinner will be an opportunity to continue conversations with the 2018-2019 Fellows, meet the 2019-2020 Fellowship cohort, and mingle with the LAF Board of Directors and other invited guests. The LAF Medal is conveyed to a landscape architect for distinguished work over a career in applying the principles of sustainability to landscapes. As CEO of EDAW, Joe Brown guided the firm to international prominence and brought landscape architecture to global audiences and scales. As a writer and thought leader, Brown has encouraged the profession to think big and take a leadership role on built environment projects, no matter how large or complex. The LAF Founders’ Award is conveyed to a firm, agency, or organization that demonstrates a significant commitment to preserving, creating, or enhancing landscapes over a sustained period of time. With a long-standing commitment to sustainable landscape design, conservation, and restoration, the Center shares its accumulated knowledge with everyone from visitors to design professionals. The Center took a driving role in developing SITES®, the most comprehensive rating system for creating sustainable and resilient land development projects.